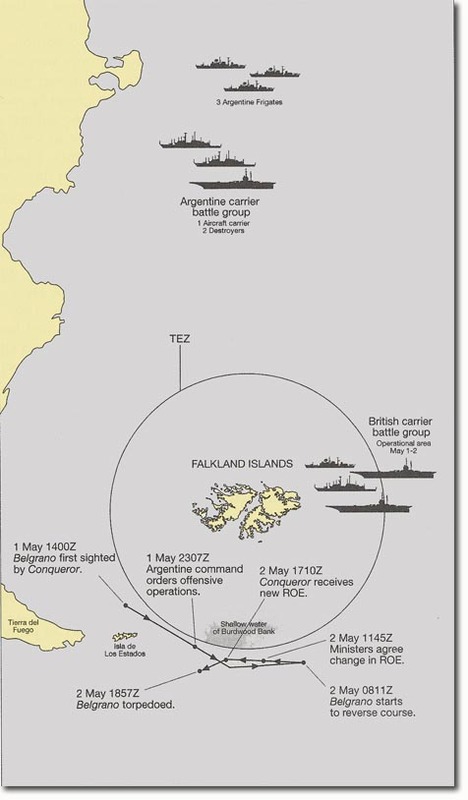 This map shows the location of the Belgrano when it was sunk. At the time, it was highly controversial given that it was sunk outside of the exclusion zone. 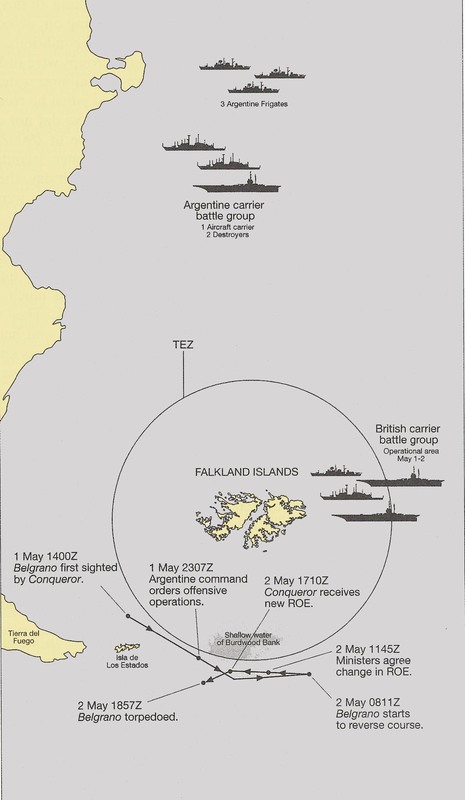 The British were concerned that an Argentine Fleet was seeking to intercept the British Task Force. The Argentines claimed that it was sailing back to port and was to take no further part in hostilities. Shortly afterwards, the British extended their exclusion zone to 12 miles off the coast of Argentina. Effectively, the sinking of the Belgrano had the desired effect of confining the Argentine fleet to port for the duration of the war.